Vanessa Selbst, the 30-year old poker player from New Jersey, has become one of the top poker players today and shows most the men at the WSOP main event just how to play. 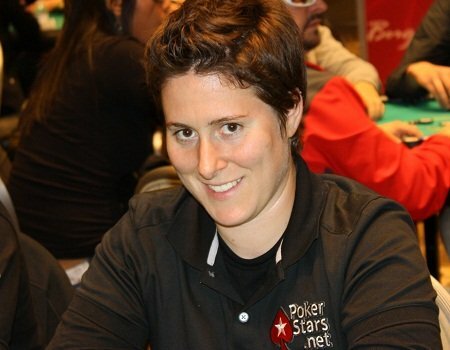 Vanessa Selbst has become a top contender among all players at the WSOP and the rest of the poker world with more than $10 million in lifetime earnings. Known for her aggressive playing style, she is a poker force to be reckoned with. Selbst, who studied at MIT for a year and then transferred to Yale where she completed her degree in political science, mastered her skills while still at Yale in local home games while playing online. She then went on to complete her law degree in 2012 at New Haven, Connecticut. It’s estimated that her total professional earnings from poker is in the region of $10.5 million. Last month at the WSOP in Las Vegas she tied with Barbara Enright as the only women to win three World Series championship bracelets. Norman Chad, an ESPN poker analyst, commented that Selbst’s success is due to her aggressive play that put others in a difficult position. He went on to say that nobody wants to see Vanessa at their table. Selbst was finally eliminated on the second day of the WSOP, $10,000 buy-in No-Limit Main Event. Her last World Series bracelet with a $871,148 paycheck came from a $25,000 buy-in No Limit Hold ’em event in May.